Visit the Plains Art Museum, explore the Fargo Air Museum, and learn about the local history at Bonanzaville USA on your weekend trip to Fargo, the largest city in North Dakota. Best things to do in Fargo, with kids include the Children's Museum at Yunker Farm and in Lindenwood Park. The Plains Art Museum is a fine arts museum located on First Avenue North and one of the best best things to do in downtown Fargo. In 1994, the museum purchased and restored the International Harvester Warehouse, a historic turn-of-the-century structure. The museum has a permanent collection of 3,000 works of local and national art including traditional folk art, traditional Native American art, and contemporary art. 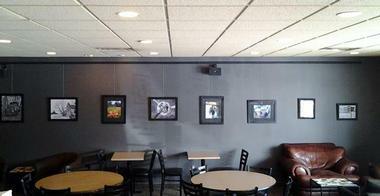 Open Monday through Friday, the Blue Goose Cafe is located on the ground floor and serves a variety of lunch fare. The museum’s Rolling Plains Art Gallery is a semi-trailer that serves as a moving art gallery, taking pieces of the museum’s collection to communities outside of Fargo. 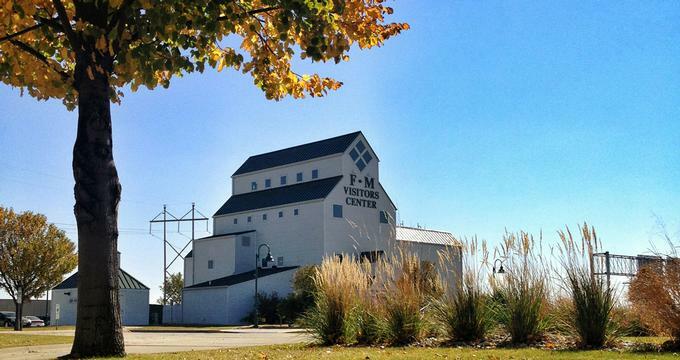 Located on 28th Avenue North in Fargo, the Children’s Museum at Yunker Farm offers hands on exhibits and many other attractions that keep curious children entertained while educating them at the same time. The museum is located in the Newton Whitman house, which was built in 1876. It was the first brick house built in the area, and the house was sold to the Yunker family in 1905. The Fargo Air Museum is located in the northern part of Fargo on 19th Avenue North at the Hector International Airport. The museum displays a large variety of historic aircraft, 90% of which are still in flying condition. Some of the many aircraft on display include a North American P-51D Mustang, a Piper J3-C65 Cub, and a hand built Velocity Fixed Wing Aircraft. The museum also has a full-scale replica of an early Wright Brothers aircraft, and it offers a variety of tours for groups such as corporate and school groups, Boy Scouts, Girl Scouts, and more. The Fargo Air Museum also hosts events such as the Young Aviator Super Aviation Camp for children. Located on Main Avenue West about two and a half miles west of the city of Fargo, Bonanzaville USA is a history museum operated by the Cass County Historical Society. Sitting on 12 acres of land, the establishment features 47 historic buildings that have moved from other locations to the museum and are now situated to form a village setting. Some of the buildings include a church, drug store, fire station, general store, jail, schoolhouse, and many more. There are also several other museums in the complex, including a telephone museum and a law enforcement museum. Other highlights of interest include firefighting equipment and vehicles, horse-drawn vehicles, and thousands of artifacts on display. Opened in 1999, the Red River Zoo lies on thirty-three acres of beautiful rolling hills, several ponds, and lovely landscaped plant exhibits. The park has more than five hundred trees and shrubs, creating a wilderness oasis in the middle of the urban landscape. If you are wondering what to do in Fargo, ND with kids, this is a great place to visit. The Red River Zoo provides a home to 300 animals of 75 species, all of which live in enclosures that closely resemble their natural habitats. The zoo has several endangered species and many native and exotic animals that come from areas of the world with climates similar to that of the Red River Valley. Located on North University Drive on the campus of North Dakota State University, the Fargodome is an indoor sports stadium that serves as the home of the North Dakota State University Bison football team. Opened in 1992, the stadium also hosts special events such as music concerts, athletic events, and trade shows. For football games, the stadium has a seating capacity of 18,700 and for larger events like concerts, it has a seating capacity of more than 25,000. Some of the special events that have taken place at Fargodome include Ringling Bros. and Barnum & Bailey Circus, and performances by famous artists like Cher, Katy Perry, Bruce Springsteen, Paul McCartney, and many more. Newman Outdoor Field is a baseball field located on the campus of North Dakota State University. It is the home of the baseball team the Fargo-Moorhead RedHawks and the baseball team the North Dakota State Bison. The stadium was called “The Nest” when it first opened in 1996, and it has 4,513 seats. The field surface is natural grass, and the field features a 13-foot high and 26-foot wide LED display video board located in left field. A digital scoreboard is located next to the video board. The stadium has excellent lighting equipment for evening and night games as well as a full-sized infield tarp cover for wet weather. The stadium also has an indoor batting cage and a two-tiered press box. Located near the Aquarium Court at the West Acres Regional Shopping Center on 13th Avenue South in Fargo, the Roger Maris Museum is devoted to the life and career of Roger Maris, the famous major league baseball player who lived from 1934 to 1985. Maris broke a world record in 1961 when he hit 61 home runs during the season. The museum is glass-enclosed and contains many artifacts and pieces of memorabilia related to his early life and his Major League Baseball playing days. There is also a theater in the museum where visitors can watch historic footage of Maris, and the theater seats are actual Yankee Stadium seats. Located on Administrative Avenue, North Dakota State University is a public university in Fargo. Sitting on 258 acres, the university’s full name is the North Dakota State University of Agriculture and Applied Sciences, and about 15,000 students attend the university. It began as the North Dakota Agricultural College in 1890 and has expanded over the years to offer 102 undergraduate majors, 81 master’s degree programs, and 47 doctoral programs. In addition to the main downtown campus, the university consists of several agricultural research extension centers. The main campus consists of more than 100 major buildings. A popular place on campus for students to meet and relax is the Babbling Brook, a large water feature. Lindenwood Park is the largest multi-use park in Fargo, and it is located on Roger Maris Drive along the Red River. There are seven baseball fields, some of which are used by youth baseball leagues. The Universal Playground is a large playground that is accessible to all children. The park features several shelters that can be used for picnics and meetings: the largest shelter can accommodate up to 200 people, and amenities include a charcoal grill, electricity, and restrooms. There are several trails in the park including skating trails, and bicycles can be rented during the warmer summer months. The park also has a scenic campground. The Fargo Theatre is a historic theater located on Broadway North in downtown Fargo. Built in 1926 in the art deco style as a house for vaudeville performances and films, it was restored in 1999 to its original appearance and is listed on the U.S. National Register of Historic Places. With a capacity of 870 in the orchestra area and the balcony, the theater today serves as the venue for arts and cultural events in the Fargo area. If you are looking for romantic date ideas, watch a performance at the Fargo Theatre. The theater is well-known for its foreign and independent films as well as its dance performances, music concerts, theatrical plays, and other events such as comedy performances. If you love beer, taking a tour of Drekker Brewery is a must. It is new and modern and features the latest equipment, but everything is still done by hand with meticulous care for the ingredients and the quality of their beers. You can take a “grains to glass” tour to learn more about the process from their head brewer or participate in a tasting of four of their most popular beers. The best way to get into the Drekker spirit is to visit their taproom, a fun, spacious, lofty room that is great for get-togethers with friends. The décor theme is “modern Viking” in honor of the owners’ heritage, and the beers are diverse – there is something for everyone. Drekker Brewing Company has outstanding beer, but it is important to note that they do not serve food. Founded in 1968, the Fargo-Moorhead Opera presents three fully staged opera performances each season as well as other events during the year, including the Snowball Gala in December. 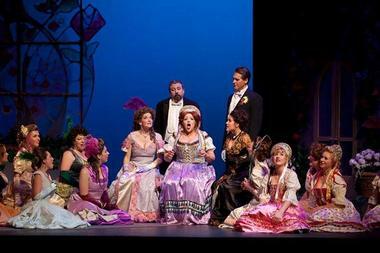 Fargo is the smallest city in the United States that has a full season professional opera company. In addition to the operas, the company hosts many events such as Lemon and Cream Summer Fling, Summer Tasting at the HoDo, Flights of Wine and Fancy, and many more. The company also has a program for children called the Gate City Bank Young Artist Program, which trains young artists through opera experiences. Every neighborhood should be lucky enough to have a shop like Luna, which started as a coffee shop and grew into a restaurant, deli, cheese, and wine shop. Stop by for your morning coffee, which is fair trade and comes from all over the world, and enjoy some fresh, fragrant baked goods; they bake everything in-house. If you come back for lunch or dinner, Chef Ryan Nitschke will surprise you with something fresh and seasonal – the menu changes daily. 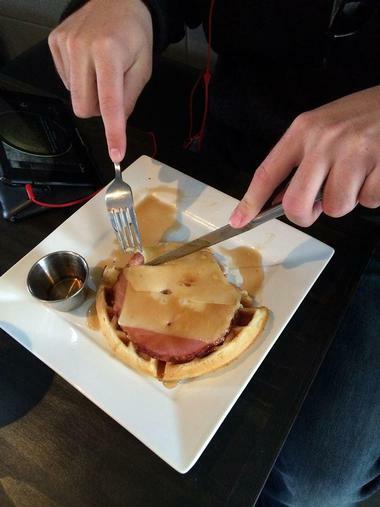 Be prepared for his absolutely fabulous take on traditional favorites. He manages to blend local flavor, fresh produce, and sophisticated ingredient pairings to create masterpieces for all the senses. Luna has 15 wines offered by the glass. Try a few to see what you like, and you can purchase your favorite selection to take home. Order a cheese plate to check out some of their wonderful selection of 40 cheeses, local and imported. Before you leave, stop by their counter and grab some cheese, cold cuts, bread, and wine for later. 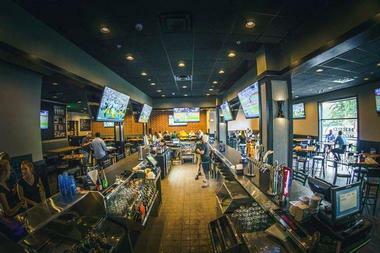 The owners of Herd and Horns know how a sports bar in Fargo should look since most of them are former North Dakota State University sports stars. They started by situating the bar across the road from campus to make sure that everyone has an easy access. Then they put up so many flat screen TVs that there is virtually no bad spot in the house for watching the games. The décor is modern and features a lot of metal and reclaimed wood, large photos of sports events and characters, and of course, lot of animal heads with horns. There is even a corner with a library to make the place inviting even to the more intellectual students and faculty members. There are 21 beers available on tap, some good craft cocktails, and much better food than one expects from pub grub. The goal is to make Herd and Horns more of a restaurant and bar where the food is not simply an afterthought. When Fargo residents want an elegant meal in a refined setting, they go to Monte’s. Warm red walls, stunning glass-bricks bar, and crisp white tablecloths create an atmosphere of elegance and luxury. Monte’s martinis are legendary, and you will often find the bar full of regular patrons stopping by for a drink after work. Executive Chef Christian D’Agostino offers an interesting menu, combining modern American fare with various international touches and focusing on small shareable plates. The best way to discover his artistry is to choose from the Chef’s Tasting Menu. You will find delicious treats such as Jamaican Jerk Pork Belly with Jicama Slaw and Sweet Potato Hash or Flatbread with Pistachio and Pesto. Monte’s also has one of the largest wine selections in North Dakota; there is something for every taste and every budget. 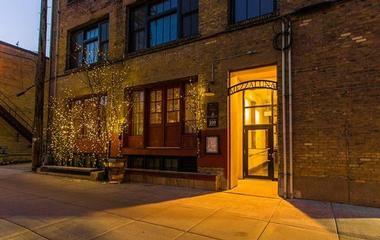 Mezzaluna is an elegant restaurant located in downtown Fargo just off Broadway in the 1917 historic loft of the Roberts Street Building. The meticulously renovated space has many of the original features such as a corbelled brick, pressed metal ceiling, tall windows, original stone trim, wood flooring, and wood beams and joists. The sophisticated and elegant dining room is a perfect background for Chef Eric Watson’s artistry. His modern American fare is deceptively simplistic, but his use of local, seasonal ingredients and imaginative pairings of simple, everyday ingredients result in original flavors that are not only delicious but a visual delight as well. Mezzaluna has a very popular bar famous for both its timeless traditional cocktails and new interesting concoctions. 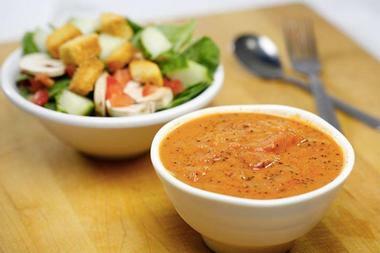 Smiling Moose is the friendly neighborhood deli where you can get breakfast any time of the day, some really great sandwiches, wraps, imaginative salads, freshly made soups, and great espresso coffee. There are many sandwiches to choose from, or you can make you own, starting with their freshly baked baguette. The secret to their unique sandwiches is that they toast the bread, meat, and cheese first to meld it all together before adding the rest of the toppings. Check their original, signature Mighty Mo sandwich/burger version with half a pound of roughly chopped juicy sirloin, American cheese, banana peppers, tomatoes, and red onions, all sprinkled with vinegar and spices. 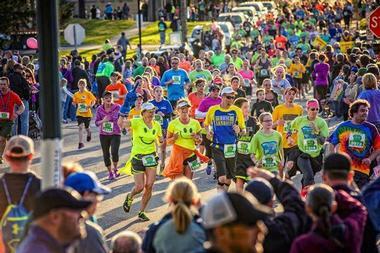 The Fargo Marathon started in May 2002 as the Scheels All Sports Run for the Children Half Marathon with 300 young participants and it has grown to 24,000 participants in 2014. It now includes the Largest Kid's Race, Half Marathon, 5K Walk/Run, Full Marathon, 10K, and relays. A range of activities takes place before and after the marathon, bringing the whole of Fargo and many visitors together. The marathon race starts from the Fargodome where 15,000 spectators cheer on the participants, and from there it takes off to the tree-lined streets of North Fargo. 40 rock bands and DJ's line the entire 26.2 miles, keeping the party atmosphere going. The finish line is back at the Fargodome, and the race is a qualifier for the legendary Boston Marathon.